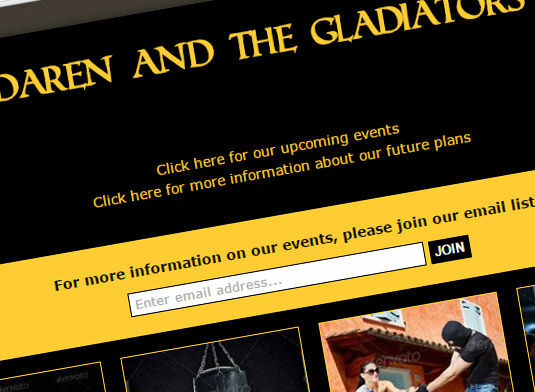 I am happy to be involved with a new startup company, Daren & The Gladiators. Daren is working to promote change locally and on a more national scale. The brief was very simple with this project: a simple landing page with a newsletter signup form. The brighter yellows and whites were used to bring out the key elements of the website, and images were used to promote the key aspects of the business. Since starting, the website has expanded to include a content management system and additional pages. It is also fully mobile responsive.